1287 Alfonso III of Aragon takes Menorca from the moors. 1288 Start construction of the original Church of Sta. Maria. 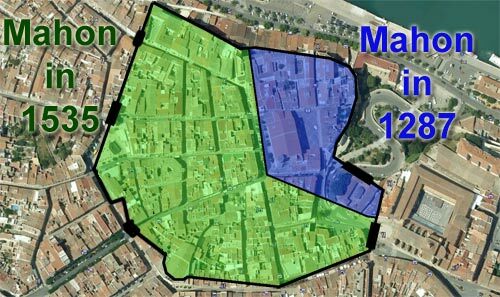 1535 Sacking of Mahón by Barbarrosa New defence walls started to be re-established. 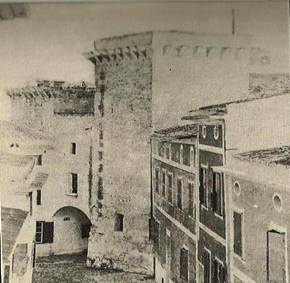 1628 Founding of Convent of Conception using old castle walls. 1644 Town starts to expand outwards to new boundaries. 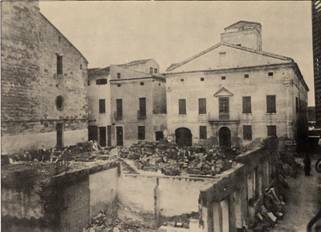 1690 Founding of Convent of Carmen. 1696 First ware-house built on harbour side. 1708 British arrival and work on the naval arsenal commences. 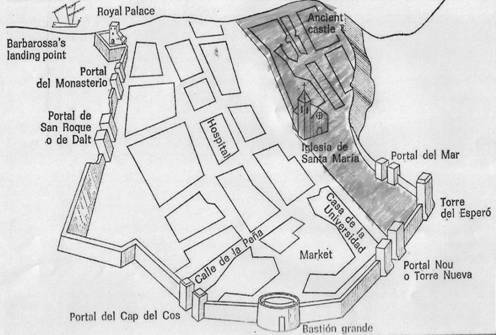 1713 Construction starts of a new road from St Philips Castle to Ciutadella, through Mahón. Todays Cami d’es Castell, previously Cami d’enKane. Royal Hannover Street - c/Ses Moreres George Street - c/Sant Jordi. 1724 Richard Kane orders the transfer of the Naval Base to the opposite side and work commences. 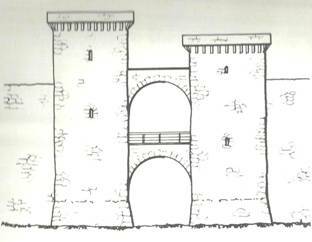 1725 Works starts on the demolition of the city walls To allow for urban expansion. 1748 Complete reconstruction of Church of Santa Maria over the top of the existing— Completed in 1788. 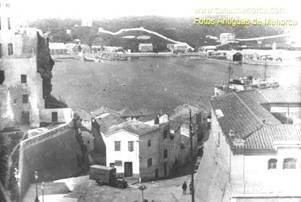 1766 Work commences on Royal Naval HQ on Isla Pinto. 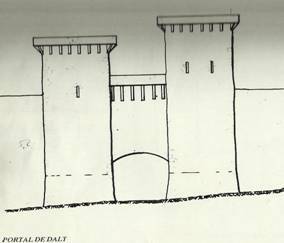 1785 Construction of Principal de Guardia. New cemetery of Gracia on green field site. 1809 Organ arrives for Sta. Maria Church. 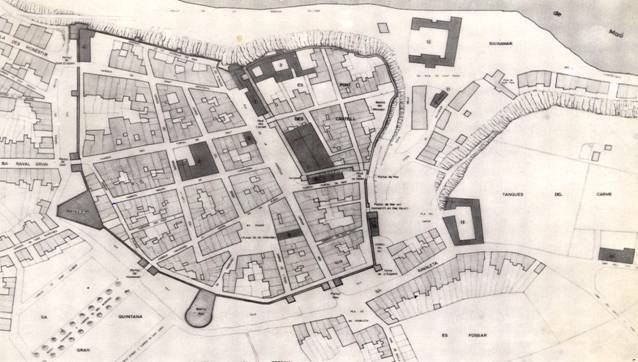 1829 Theatre Principal completed on site of old Bastion Grande. 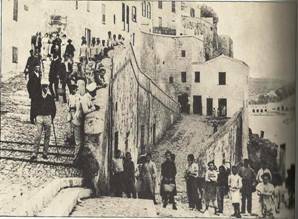 1848 Installation of Gas lamps to streets. 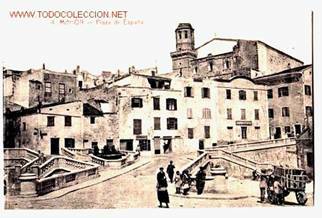 1856 Industrial Maonesa de Teixits in Cala Figuera opens and operates until 1911. 1868 Purpose built Fish Market opens. 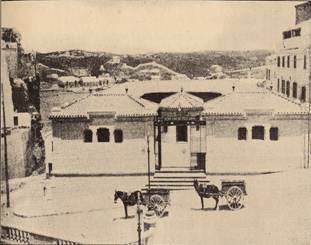 1884 Transfer of Fruit and vegetable market to Cloisters of Carmen. 1892 Electricity arrives. Power station inaugurated. 1916 New post office opens. 1918 The butchers are moved to Cloisters of Carmen. 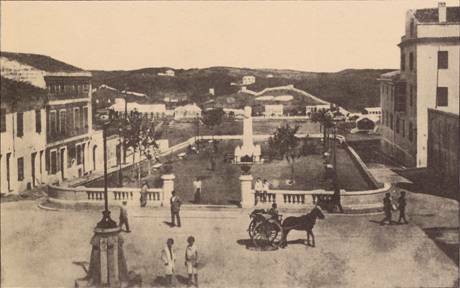 1922 Plaza Miranda is constructed on the old convent gardens. 1925 Concession given for the selling of petrol. 3 sites, the first in front of the Sta. Maria Church. 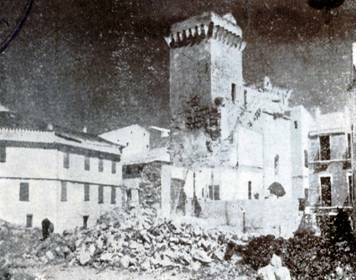 1930 demolition of the Bastion of St. Roc to form new Square. 1936 Civil War—much aerial bombing towards the end to With considerable damage to private houses. 1939 Theatre Principal. Sa Graduada, the fish market, Cloisters de Carmen and the Naval Base. 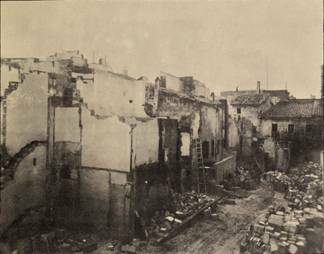 1939/1943 Demolition of Costa Baixamar and Costa Vella. 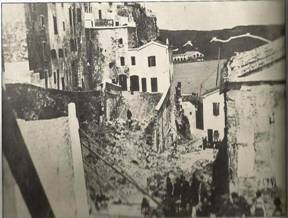 1942/1944 Demolition of the houses of the slum area behind the Sta. Maria Church to form the Plaza Conquista. 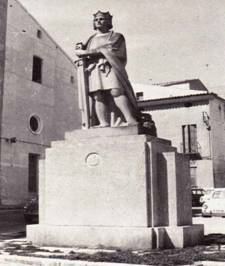 Statue of Alfons III, inaugurated In 1950 when General Franco visited the city. 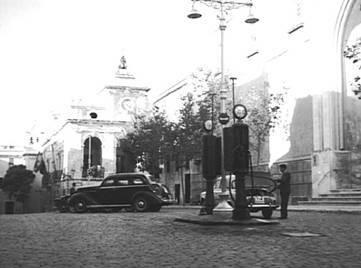 1944 Military cease using the parade square & handed Over to the Ayuntamiento as the Plaza Esplanada. 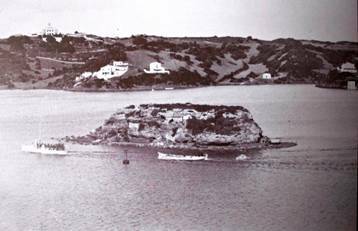 1956 Hotel Port Mahon inaugurated. 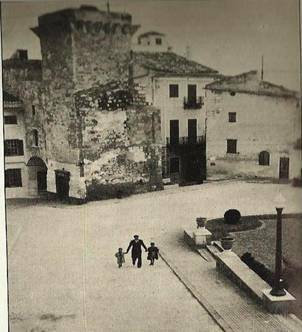 The old houses, some badly damaged during bombing of Civil War are purchased by town council in 1941 and it takes about 3 years in phases for the demolition of these.